The courtyard of the Robert Mondavi Institute for Wine and Food Science, home to the UC Davis Good Life Garden since 2008, quickly became a popular venue for weddings and high-profile university events thanks to the gorgeous, well-maintained, ever-changing edible landscape. Students in our Learning by Leading Edible Landscaping Program are now designing, planting and maintaining a few of the plots and, for the first time in the history of the Good Life Garden, harvesting the vegetables and donating them to The Pantry — a student-run organization that works to ensure no student ever has to miss a meal or go without necessities for financial reasons. We are collaborating with the UC Davis Honey and Pollination Center to re-envision a portion of the landscape as a kitchen garden complete with pollinator-friendly demonstration plantings, low-water use irrigation concepts, educational signage, and a beehive! In addition, we are building a volunteer team (similar to the volunteer teams that work elsewhere in the Arboretum) specifically for this garden. 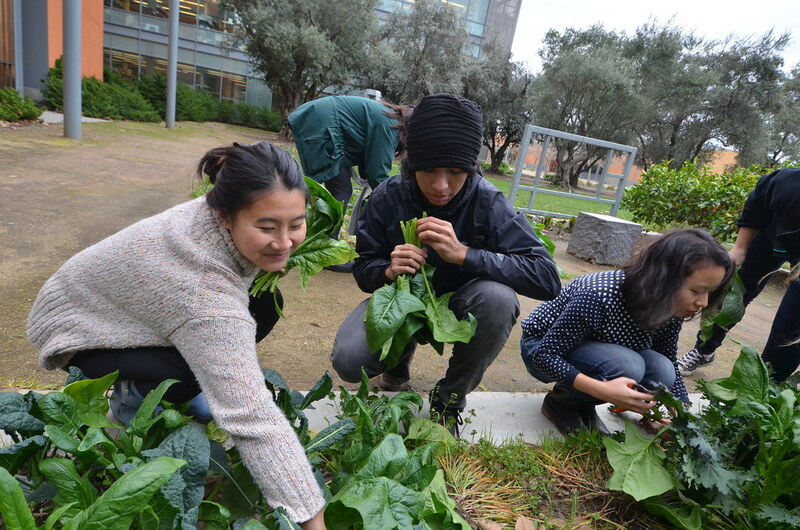 These volunteer gardeners will have the opportunity to work with our horticultural staff, develop new edible landscaping skills, and meet people who share their interests. 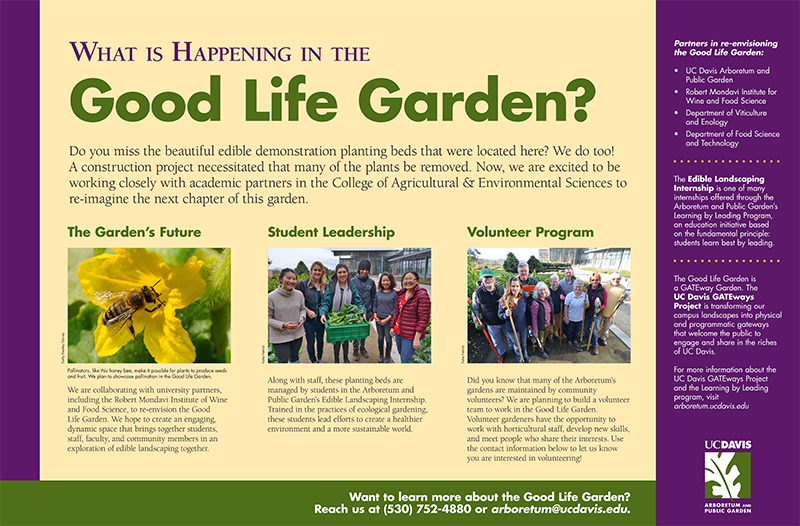 Stay tuned for more ornamental edible demonstration gardens here in the future!